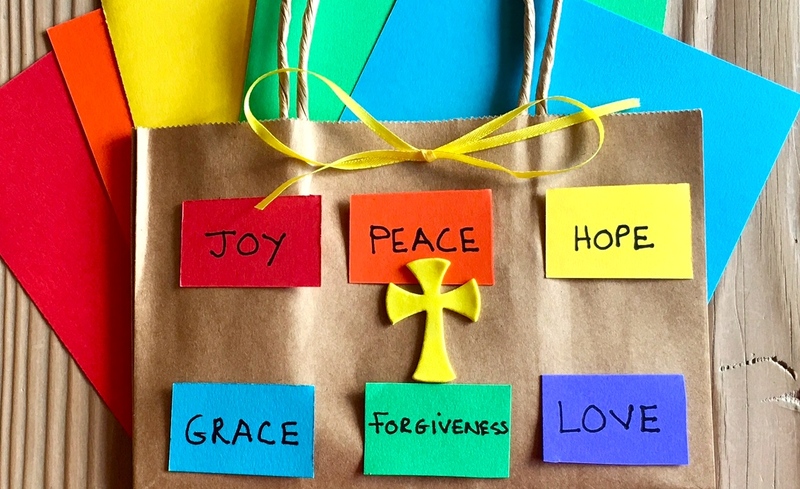 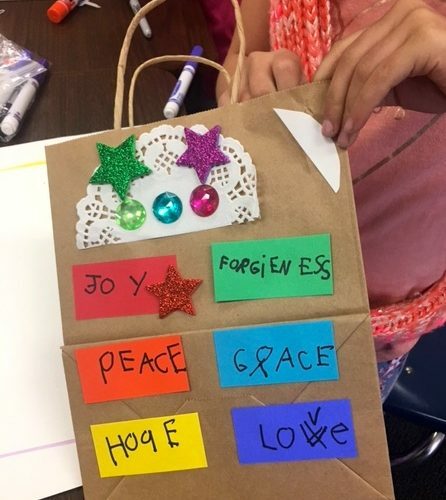 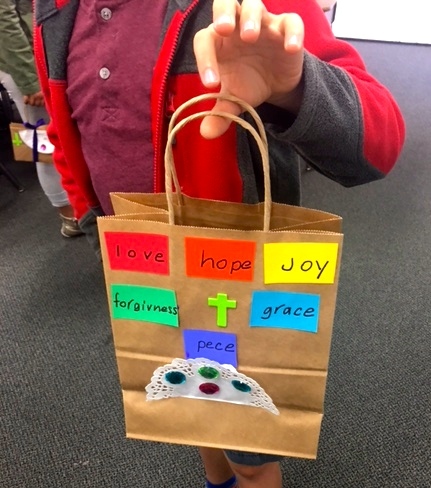 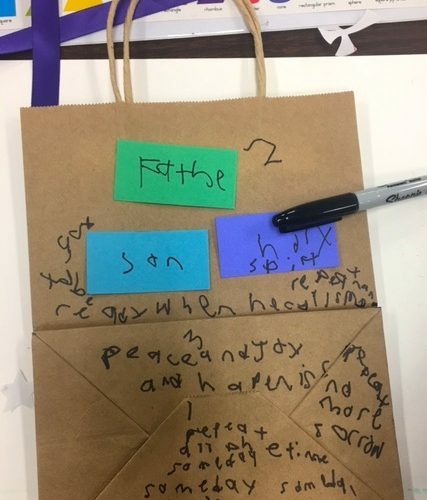 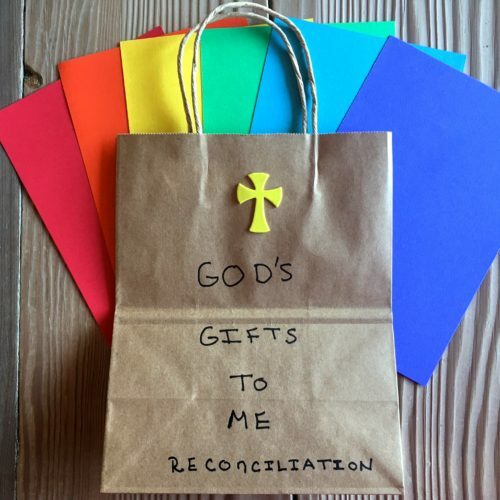 I saw this darling “treasure” craft project for children about to celebrate their First Reconciliation on CatholicIcing.Com. 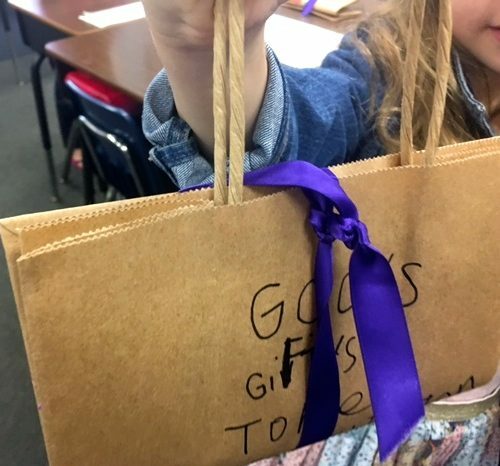 I was excited to try it for my Sunday School class, when I realized it would be a bit too much cost-wise, and would require a lot of time to prepare for sixteen kids ranging in ages from six to nine-years-old. 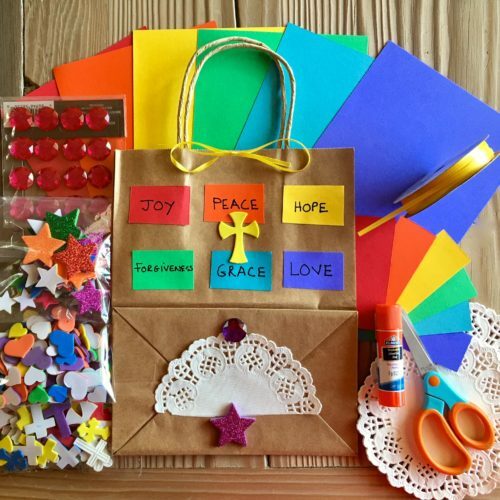 Plus, we only have about thirty minutes for our “Art Time.” So I thought about ways to save on cost, use what I already had on hand, and be able to pre-cut for kids to assemble. 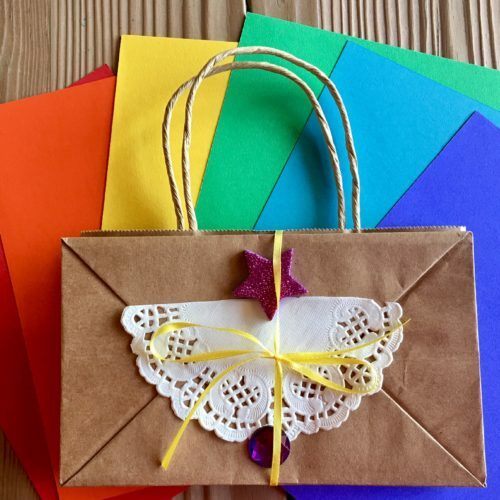 Here is what I came up with using paper bags with handles, stickers, cut paper, doilies, and ribbon. 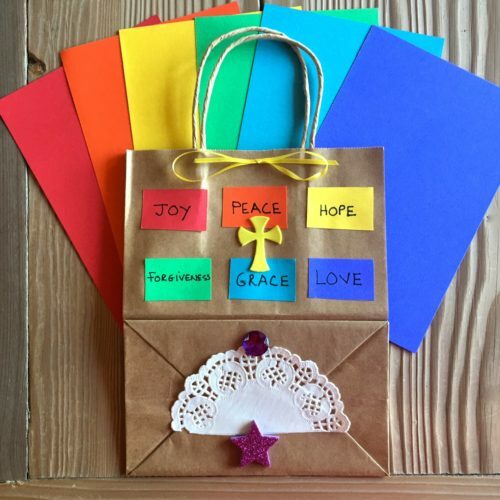 Add a glue stick and a black Sharpie, and you are ready to go. 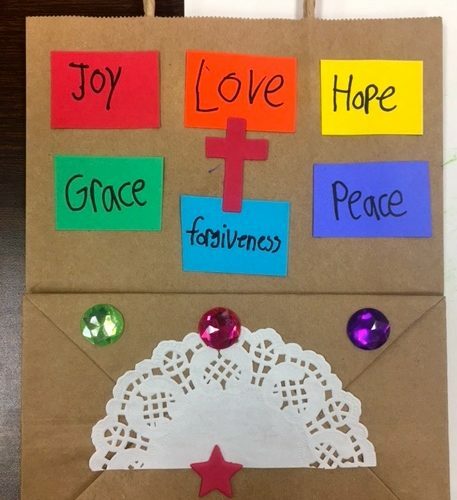 I am looking forward to bringing this pretty “write, paste and decorate” project to the children in my CCD class. 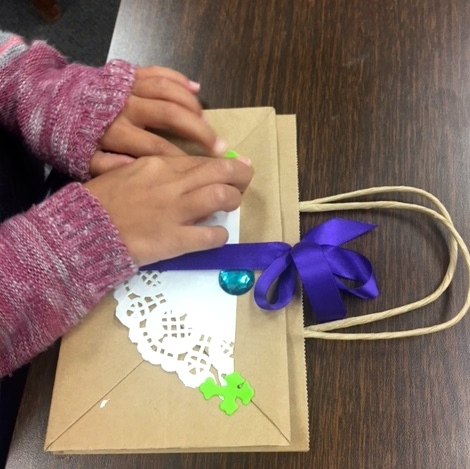 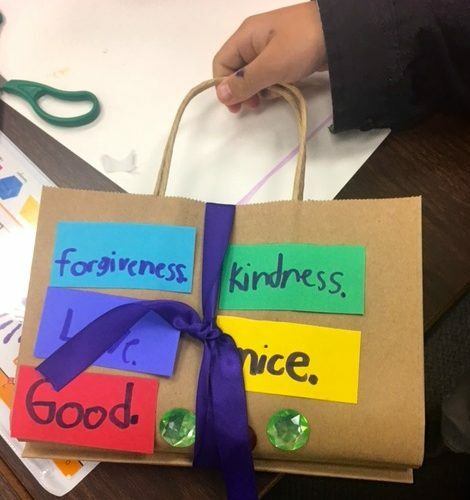 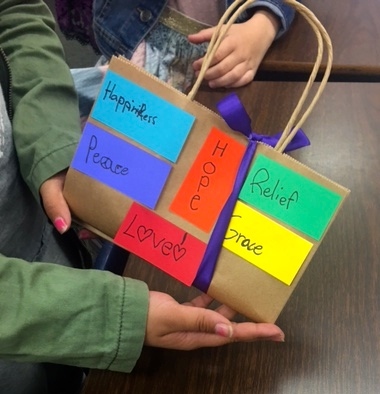 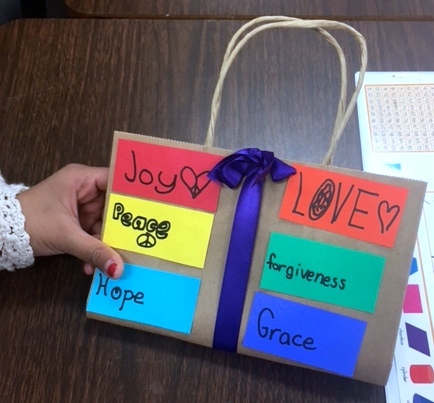 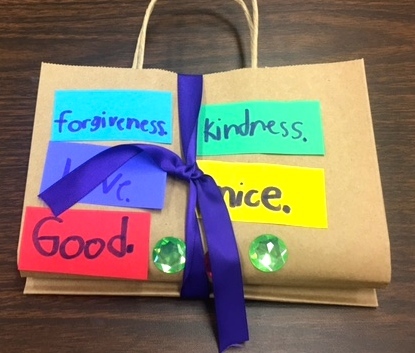 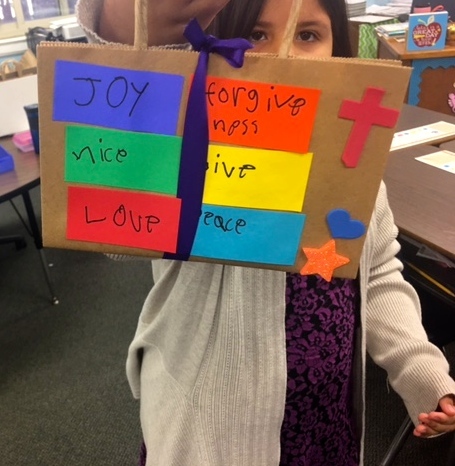 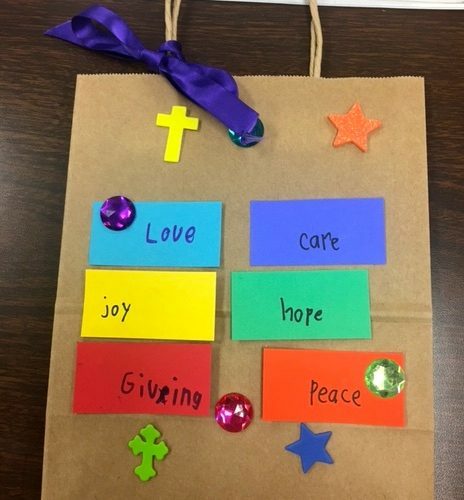 After several weeks of practicing for Reconciliation, this craft will be a nice break and still teach the students about the “gifts” they will receive from the Sacrament.